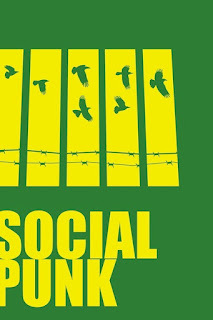 This is the last excerpt of Socialpunk by Monica Leonelle. Click here to read the first excerpt "Prologue", or, click here for the second excerpt "Food-related". A woman with long purple eyelashes, who kind of reminded Ima of a butterfly, brushed by Ima with tattooed art entirely covering both her arms. One of the tattoos started out as a young boy who grew just a little older with each second, until he looked like a man. To Ima’s amazement, the tattoo played like a home video. Keep on reading Read and Caffeinated updates, there will be an interview with the author, Monica Leonelle.